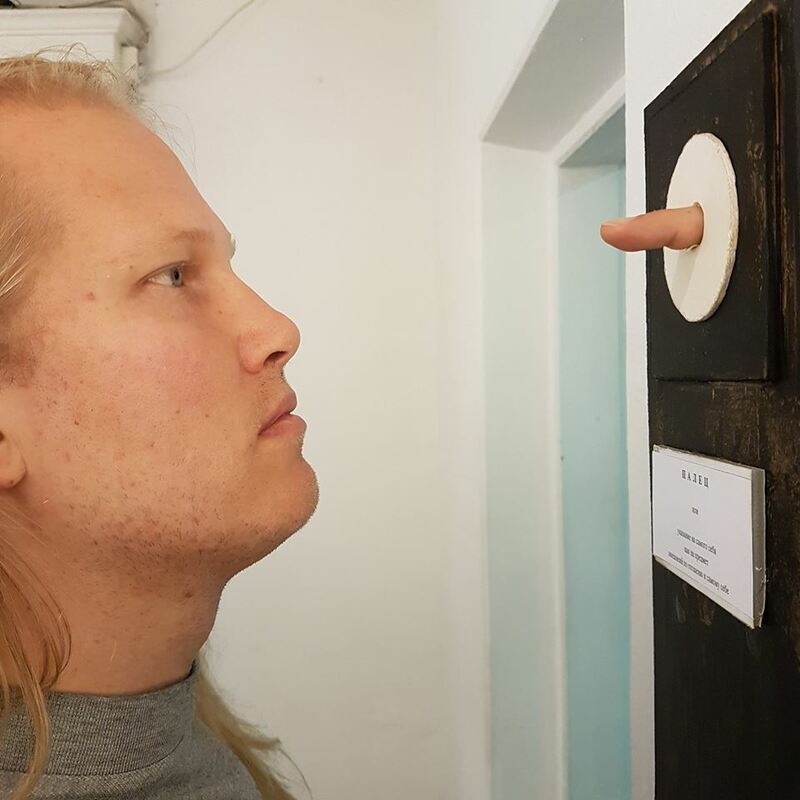 Pacifist Suitcase narrates its allegory through Moscow Conceptualist Andrei Monastyrski sculpture the Finger (1977), of which in 1992 he recorded a video measuring all its dimensions and details with the help of another man. This video was uploaded January 17th 2014. Already at the beginning he intended for the device to brake the very notion of any replica or imitation, and in this pre-tells of Shanzai, but from a very Russian, not revisionist but revolutionary bent stance. But the work transcends its material boundaries more then by being mobile as a light portable object. When used it completely detaches two parts of the same body and points at you, the Freudian subject, but also not, but at everything. For my work Pacifist Suitcase I have produced a replica of the artwork. This is the second replica of the artwork I have produced. 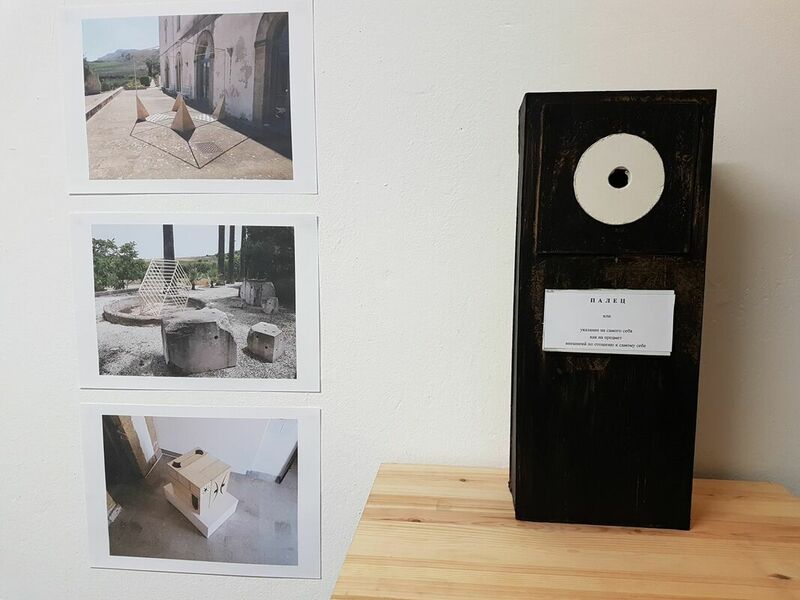 And I want to focus on this work in its relation to my with works with collective intelligence, namely Conscious Objects and Valigia Avvolgente, the wrap-around suitcase. The work confronts the self, the person, the you there. The appearance of our own flesh, in front of us like a finger. The work was exhibited alongside images of Valigia Avvolgente as both works relate to the same research.